In the galaxy of Indian poets and critics, the position of Seshendra as a luminary is unique. He visualizes the cross currents of tradition and modernity as perpetually interacting and moving towards the future, in new directions. 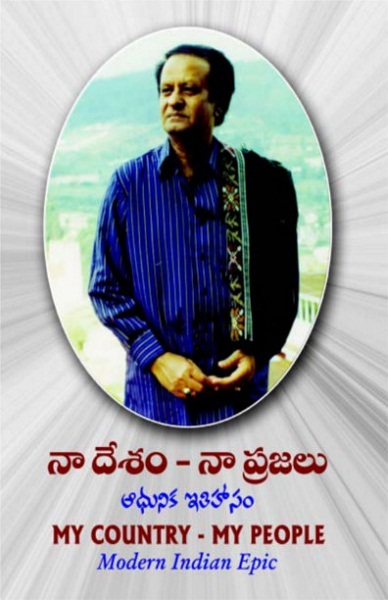 As a Telugu poet and critic, he is a multifaceted genius, seminal in his thought, his writings in various genres facilitating the evolution of new modes of literary activity among the new generation writers. As Seshendra says with all humility in the First Memorial Lecture on the Jnaan Peeth Award-winner Viswanatha Satyanarayana titled “Valmiki to Kalidasa - Ashram Kavya Yuga,” “…my guru. His blessings have been with me all my life and it is only through his blessings that I am today.” Seshendra’s interaction with Viswanatha for years is evident from the latter’s Forewords to Seshendra’s epoch-making works Shodasi Ramayana and Ritu Ghosha. The traditionalist facet of Seshendra is evident in Shodasi Ramayana. It is a new interpretation of a part of Valmiki Ramayana in terms of Kundalini Yoga. The Sundarakanda represents the quintessence of Valmiki Ramayana’s thought. The first verse of the Sundarakanda, “Tato Ravana Nithayah,” etc., has been interpreted by Seshendra as representing an attempt by Hanuman to traverse the path of the Sushumna, which is the mystic path situated between the Ida and Pingala, thereby reaching the final goal, of oneness with the Kundalini Sakti. In the chapter on Indra Paratva as opposed to Vishnu Paratva, the critic makes an original thesis: that the Ramayana closely follows the predominant position of Indra in the pantheon of gods, which is the Vedic pattern as against the supremacy of Vishnu which is the Puranic pattern. “Shodasi” is related to the Maha Mantra “Sri Vidya.” Viswanatha in his Foreword says that it is Seshendra’s commentary on Gayatri Mantra. He wonders about Seshendra’s genius in reading the Maha Mantra “Sri Vidya” with such deep significance. While maintaining that no one else has read Mahabharata and Ramayana together in the way Seshendra could do, Viswanatha says that not only Telugu people but Indians at large should be grateful to Seshendra for writing Shodasi Ramayana. Seshendra’s interpretation of Sri Harsha’s Naishadhiyacharitham based on the story of Nala in Vyasa’s Mahabharata is another landmark in his studies in Sanskrit literature. He goes beyond Mallinatha, Srinatha and Nannaya and maintains that Naishadhiyacharitham synthesizes Mantra Sastra, Yoga Sastra and Vedanta Sastra. The work is an allegory on the journey of the soul, a discourse on Matter and Spirit. In his Foreword to Ritu Ghosha (“CRy of Seasons”) too Viswanatha showers praise on Seshendra’s poetic genius. In this poem Seshendra renders the beauties of the seasons that determine time. His understanding of the sounds of seasons is not merely in external terms. He makes an in-depth study of the human time in different aspects in relation to the seasonal time. Viswanatha says that Seshendra’s eminence as a poet lies in his understanding of the multiple aspects of the seasons, the deep resonances between the human system and the seasonal variations. In this sense, according to Viswanatha, Seshendra’s writing is of the highest order. Seshendra’s message is that deriving superhuman’s energy from Primordial Nature, the individual can survive the onslaughts of contemporary life. “Come, my people, take up your ploughs. Come with your women, your children, come out of your hearths and homes, from prisons of your schools and offices, your academies and assemblies. Come, let us see centuries blown off in the winds of time. In Kaala Rekha, besides a score of critical essays on the traditional modern poetry, Seshendra shows remarkable insight into the genre of Ghazal in Urdu poetry in five essays on the subject. He calls Ghazal an art of magnetism, a fire, a culture. His friendship with Faiz Ahmed Faiz gives personal touch to the essays. Seshendra sees in Ghazal poetry the heights of love poetry in observing that even though Islam does not accept idol worship, the Ghazal poets have ushered in a tradition of idolizing the beloved. He calls the Sanskrit metre Anushtup, an Urdu Shait and maintains that the number of Ghazals in Valmiki’s poetry cannot be seen anywhere else. He also sees closeness of Vemana’s Telugu metre Aataveladi and the Ghazal. As evident in his brilliant interpretation of Sundarakanda in Shodasi Ramayana, Seshendra as an Indian critic has firm grasp of the Indian mythology. Elsewhere in his critical essays too he has sounded the depths of both the Indian and Western lore, in a comparative perspective. In his long letter of July 18, 1984 to me, Seshendra analyzes Jessie Weston’s From Ritual to Romance (used by T. S. Eliot in writing The Waste Land). While admiring Weston’s book as “a monument of quest and scholarship….that captures the original source or sources of the Grail Legend now found embedded in Christian liturgy,” with his in-depth knowledge of Ramayana and Mahabharata as well as the Indian folklore, Seshendra corrects the Western critic, suggesting that she should have taken the Rishyasringa version of the Ramayana instead of the one of Mahabharata. He maintains that Weston should have taken into account the fertility ritual in Ramayana. Modern Indian literature in English translation is gaining currency in the university departments, having been included in M. A. (English) courses. Seshendra’s works have been prescribed for study in such courses, several of them being translated into English, French, German and Greek besides many Indian languages including Hindi, Urdu, Bengali and Kannada. With titles conferred on him, like “Navakavita Pitamaha,” “Raashtrendu,” etc., Seshendra participated in a score of Kavi Sammelans at the state and national levels. He lectured widely in India and abroad including Greece, West Germany, Mauritius and Kenya on Indian literature and tradition. He also lectured on the subjects at several Indian universities including Rajasthan, Nagpur, Hyderabad, Tirupati, Anantapur and Visakhapatnam besides India International Centre, New Delhi, Telugu Academy, Hyderabad and Kalidasa Academy, Ujjain. The honours bestowed on Seshendra were climaxed by the Central Sahitya Academy Award and Honrary D.Litt by the Telugu University in Hyderabad. No wonder he was nominated to the Nobel Prize in Literature.